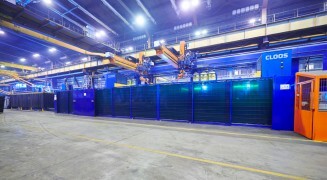 QIROX comprises all solutions for automated welding and cutting. Due to its modular design, the QIROX system allows scalable solutions which can perfectly match your production requirements. The QIROX system for automatic welding and cutting includes the robot technology, positioners, safety technology, software, sensors and the interface to the process technology. It is completed by an extensive range of options and complementary services. Delivering you more commercial success! We know what matters to you! From start to finish, we are with you all the way! “Made in Germany” can be relied on. Our QIROX welding robots allow you to benefit in particular from the modular design of the complete mechanics. All components of our welding robots – from the robot base to the axis tube – are perfectly matched to each other. 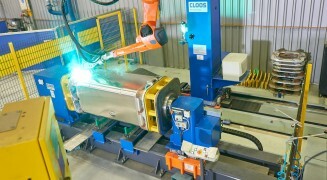 By using different components, a customised welding robot can be generated for every production requirement. Our welding robots are available in different capacity classes. Depending on your requirements, you can choose between either the classic line QIROX Classic (QRC) or the hollow shaft (QRH) model. 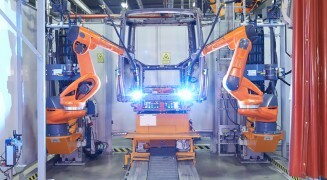 The two welding robot lines are designed both for floor and for overhead mounting and can be combined with different CLOOS sensors or changing systems. Thus optimum solutions for the most diverse welding processes and production environments can be realised. Trust in our comprehensive expertise and many years’ experience – for nearly 100 years we have been belonging to the pioneers concerning innovative solutions for manual and automated welding.